We are now nine years in business and are both the 2017 & now the 2018 WeddingsOnline Best Transport Supplier in Ireland to add to our accolade. 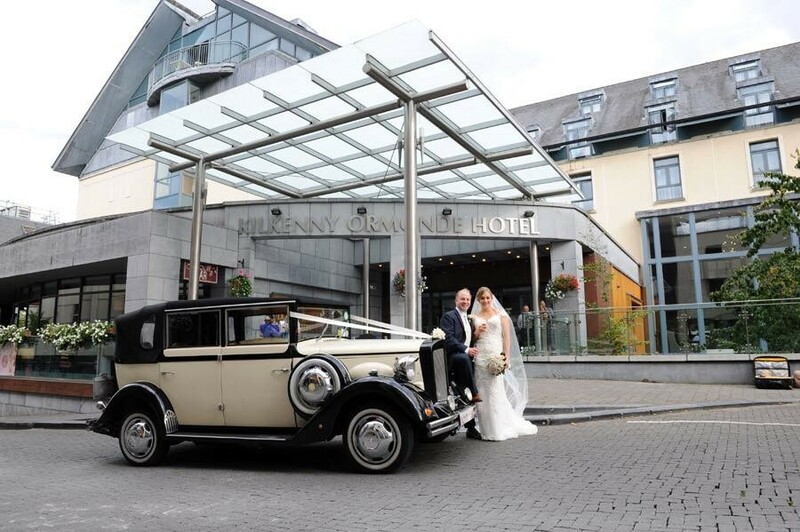 We have successfully gathered the largest selection of wedding cars in Ireland! We currently have 13 exquisite cars in our fleet with a range of cars to suit all tastes, themes and budgets. 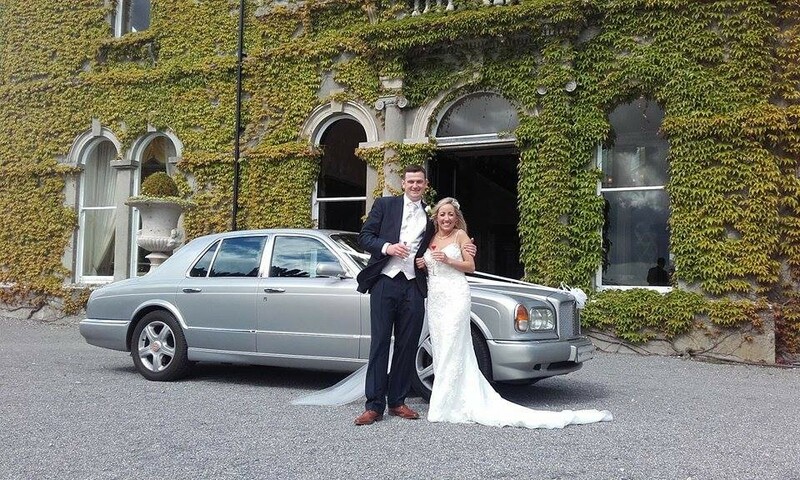 We have vintage style cars, contemporary saloon cars, sports saloons & convertibles, a classic Bentley Arnage and two Chrysler 300C stretched limousines, making us the one of the only wedding car hire companies with stretched limousines in the South East. Imperial: ROI's only Imperial 7-seater GrandeTourer wedding car (6 passengers + driver). This car in liquid silver & storm grey books its own weddings. With cream hide and matching Wilton wool carpets throughout, this is luxury at its finest. Regent Landaulette: We have two Regent Landaulettes currently - one in soft cream & raven black and our latest reincarnation in soft cream & autumn gold. Our cream & black Regent has been with us from day one and we never cease to be amazed at just how popular and photogenic this car is. With hundreds of satisfied couples having traveled in this stunning car, we are proud to have it in our fleet. Our cream & gold Regent is receiving quite a lot of bookings and offers an alternative colour palate with its new gold paintwork and gleaming chrome fittings. Both Regents are spacious, holding up to 5 passengers comfortably. Brenchley Tourer: In keeping with the theme of exclusivity, our Brenchley Tourer, new to our fleet, will be launched shortly and ready for bookings from December 2016 onwards. This car, with its 150 bhp engine eats up the miles effortlessly on long distances. In midnight black & buttermilk cream and with cream stitched leather & burgundy piping throughout, this is sure to be a real head turner. Chrysler 300C Convertible: If vintage style convertibles are not your cup of tea, why not indulge in Europe's only 5.7 ltr V8 power train. Our Chrysler 300C convertible is the only licensed 4-door convertible you will find anywhere! In diamond white and with cream leather seating, this is something totally different if you want make a statement on your wedding day. Bentley Arnage: it takes 4 hours to make a Toyota; it takes 12 hours to build a Mercedes; it takes 400 hours to craft a Bentley Arnage! In moonbeam silver and with black Connolly leather upholstery and walnut cappings throughout, this is the epitome of luxury and style. It's the old and the new married together as only Bentley Engineers know how. Audi A7: the designers threw away the straight edge when they built this sports coupé. Pictures can't quite convey the dramatic curves of this A7 in ibis white. With its sleek silhouette, it has road presence like no other and fantastic rear leg room. It raises the bar for contemporary wedding transport in Ireland. Jaguar XF: we bid a fond farewell to our "black cat" the Jaguar S Type but this means we warmly greet our Jaguar XF - the new "black cat". Undoubtedly the most stylish car in its class. The design engineers pulled out all the stops to MARRY old world design & comfort with new world chic & dynamics. This is the only black Jaguar XF licensed as a wedding car in the whole country and is sure to make a statement on your big day. Mercedes CLS AMG: in factory special order sparkling white pearlescent paint this car oozes style, panache and sophistication. It has the room and quality of a limo, the looks and style of a coupé and the practicality and strength of a saloon all wrapped up into one beautiful package. This car is positively breath-taking but don't take our word for it, the pictures speak for themselves. 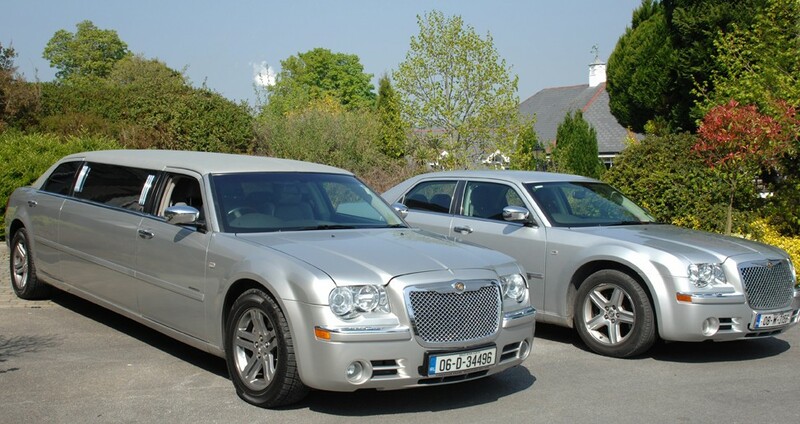 Chrysler 300C Saloons/Stretched Limousines: we have not one but two sets of Chrysler 300C saloon cars & stretched limousine combinations - one in silver and one in black. Each car can be used either on its own, as part of a two car Chrysler package or teamed up with one of our vintage style cars (something old, something new). With their Bentley inspired grilles, our cars have class-leading leg room with conference seating in our stretched limousines, heated leather seats and top of the range sound and lighting systems. To see a matching pair of our Chryslers on your big day is a sight to behold, especially when presented like ours. 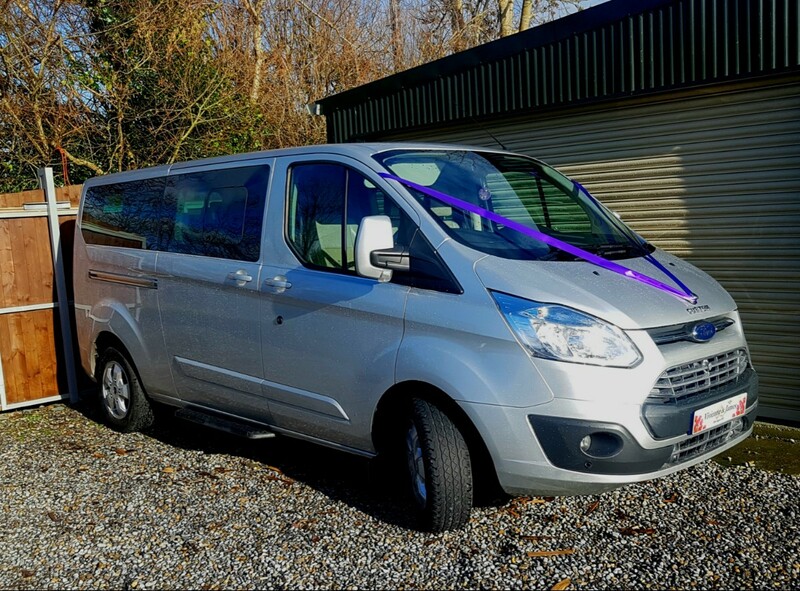 Ford Tourneo Custom (Limo spec): tastes and styles are changing at a rapid pace so we thought it was time to acquire this beautiful limo specification Tourneo Custom in moondust silver for the larger wedding parties. It can carry 9 people plus their luggage in individual aircraft style conference leather seating. With luxurious touches such as chilled drinks cabinet, mood lighting and USB charging points all round and rear climate control, this ticks all the boxes. 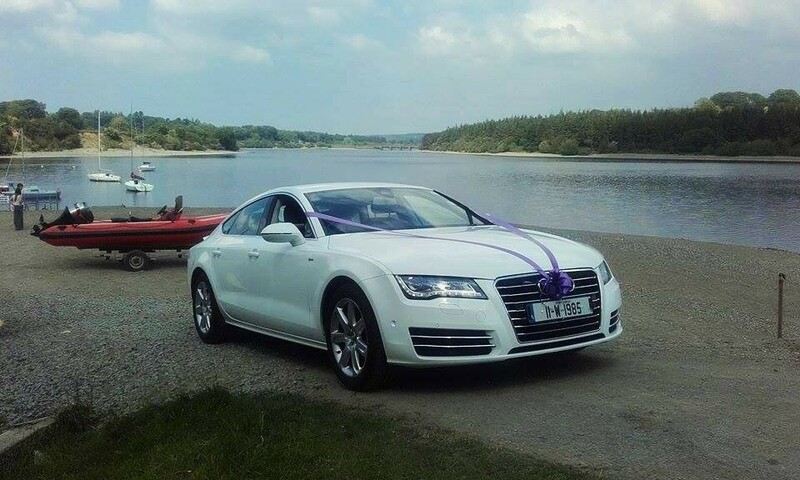 The Limo Company is a multi award winning Wedding Car Hire Company from Waterford servicing weddings throughout the local area including Waterford, Kilkenny, Wexford, Carlow, Tipperary. 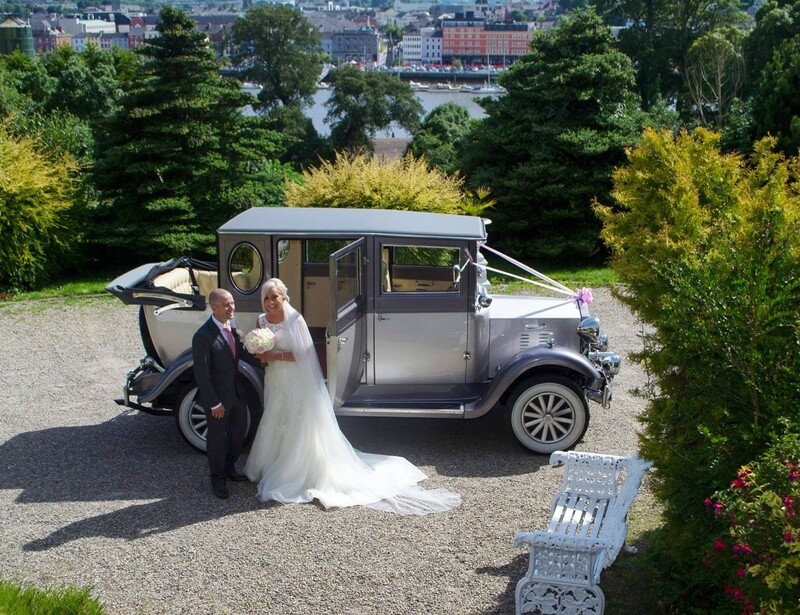 The Limo Company is a professional, friendly, reliable, best value Wedding Car Hire Company that has been part of the Wedding Transport industry since 2009 specialising in vintage, sports saloons, limousines and executive wedding cars. Thanks very much Adam and Orlaith for your review. Short and sweet but says it all. By the way we thought that the green ribbon & bow really added to the vintage look on the Regent - great choice! Best wishes to you both for the future. The limo company provided us with a fantastic service for our wedding day. We hired their Audi & Mercedes both cars were absolutely stunning, classy, in immaculate condition as well being so comfy!! Both drivers were gentlemen, with a kind welcoming professional manner. Caroline was so helpful to deal with making our booking a very easy experience. I would 100% recommend The Limo Company. Hi Orla, we are really glad to get the feedback here. Our Audi A7 and our Mercedes CLS AMG travelled 110 km from our showroom to Cork and back again in not great weather conditions so it's reassuring to learn that both cars were in immaculate condition; a testament to the care given to them by our chauffeurs. The words "fantastic", "stunning", "classy", "comfy" and "professional" are exactly what we aim to achieve with our service. Best wishes to you and to Christopher for the future. Caroline and Bernard were an an absolute pleasure to deal with from start to finish. We were delighted with the vintage car we chose 'The Regent'. (For any bride who wants to travel with the top down in the sunshine like a princess, this is the car!) The driver was amazing, very professional, charming and really went out of his way to make our drive a very enjoyable one. We are very happy we chose The Limo Company and would highly recommend them. Many thanks Sylvia and John for sending us on this fab review! It's great to hear that our Regent in cream & black is still considered to be a "princessmobile" even though it was one of the first cars we bought back in 2010. We will pass on your lovely compliments to Nigel who was your chauffeur on the day. All the best to you both for the future. Thanks very much Shane and Nicola and great to see our chauffeurs getting a mention again. You're lucky that you had Ger and our beautiful Audi A7 in ibis white - you were spoilt on the double!! Best wishes to you both from all of us at TLC. Caroline and Bernard made the process of booking our wedding cars so easy. We got great value for money and a professional service. would highly recommend them. Thanks for your lovely review Lynn. Bernard really enjoyed chatting with your Dad en route from Waterford to Thomastown. Such a nice man, Bernard felt as though he knew him all his life. We both thought that you looked fantastic on the day and wish you both every happiness for the future. Such a fab company, their car is beautiful in our wedding photos! Thanks very much Michelle for your review. We would love to see how our Regent looked on the day as it brightens up the darkest of days. Best wishes to you and to Mark for the future. Great to get your review Clair and Michael and great to hear that TLC ticked all the boxes for you on your wedding day. Here's to a great 2019 for us all! Caroline & Bernard. Great service, friendly and easy to deal with. I am so glad we got our car from you. Thank you Michael. You booked Ireland's only Brenchley Tourer in midnight black & buttermilk cream. This is the most up-to-date vintage style wedding car in the whole country, straight out of the box so no wonder you were glad you booked your car with TLC. Absolutely flawless paintwork, chrome fittings, sumptuous red wool carpets throughout and genuine cream leather seating with red piping. As the L'Oreal ad says "You're worth it". Caroline was so very helpful when I contacted her about my wedding car. Great service from start to finish. Even the driver was so helpful with helping with my dress and veil before I walked up the aisle gave me those last few encouraging words that I'll never forget. Thank you so much Caroline and Brendan and to Ger my driver on the day. What a lovely review Bridget. A chauffeur is so much more than a driver of a car - it's his/her job to put you at ease when the nerves kick in and to make sure that you are looked after well on your special day. We always emphasise to our chauffeurs that they should treat couples as they would like to be treated themselves on their wedding day. Glad to hear that Ger had words of wisdom to impart to you when it counted most! All the best from all at TLC. Thanks Aine and Damien. When a car leaves our premises for a wedding, rain, hail or shine, we always envisage that it's our own wedding so the car both internally and externally and the chauffeur must be in tip-top condition. Glad to hear that we delivered on these for your wedding. Best wishes from all at TLC. TLC were very professional from first contact and a pleasure to deal with. I would gladly recommend them to anyone looking for wedding car hire. Thanks for your kind words Alan. What a hectic day this day turned out to be for us. One of our drivers hurt his back that morning and I (Caroline) had to don the glad rags and turn up on Charlene's doorstep to whisk her to the church in Gowran. Well, we can't leave a bride in the lurch can we? I was privileged to be part of your special day, you were both so friendly and easy-going. Warmest wishes to you both! loved the limo company so helpful start to finish. Thanks very much Mrs. Aldridge! We were delighted that we could facilitate your large wedding party with our 5 seater Brenchley Tourer and our two x 7 seater Chrysler limos. You have exquisite taste. Best wishes to you and Gary for the future. We had a great experience with the limo company. Very welcoming to their showroom and a great selection of cars. Driver on the day was great very friendly and went above and beyond to help in any way he could. Would highly recommend them. Thanks for this Hayley. Recommendations are such an important way of getting the TLC message out there and who better to give a recommendation than a satisfied customer. Old mottos make great sense: "If you are not happy tell us, if you are happy tell others". We are glad that you were the latter lol! Best of luck for the future. We recently used The Limo Company for our wedding on the 1st of September. We found them excellent and very easy to deal with. Car was in immaculate condition and many people commented on how well it looked. We booked the imperial vintage style car and because the weather was good we had the back hood down heading to the hotel which was fab. I would highly recommend the limo company. Thanks for taking the time Therese to give us such detailed feedback. We're not surprised to hear that many people commented on how well the Imperial looked after all it is Ireland's only Imperial, hand-built to our own high specifications. We always tell people when they are booking this car that if they find another in the country (ROI), they can have our one for free! Just another little perk when you book with TLC. Best wishes to you both! Tlc were a pleasure to deal with for my wedding. On the day our driver was very friendly and professional. The car was immaculate and perfect for my big day. Thanks Edel, it's great to hear the words "very friendly", "professional", "immaculate" and "perfect". It's the combination of hard work and dedication which are at the core of the TLC ethos. Reviews like yours makes it all worthwhile. Best wishes for the future from all at TLC. There I was sitting in the kitchen having a well earned cuppa after cleaning cars that were out at the weekend when I got a call from the Event Co-ordinator (Gill) at the Lyrath hotel. It was an SOS call! She told me about the bride in distress (you) who had ordered a car from a local company. This car broke down (as can happen) and they sent a replacement car which also broke down (that's just rare bad luck) and all before you set off from the fabulous Lyrath. Gill asked me what were the chances of us being able to get a car and driver to you asap. I got on the phone straight away to one of our very experienced chauffeurs who said without hesitation that he could oblige. I cleaned the car with lightning speed, took a bottle of bubbly from the cooler, put ribbons & bows in the car and within 20 minutes Nigel was out at our showroom in his trademark 3-piece grey suit and black patent shoes and on the M9 motorway to the church. 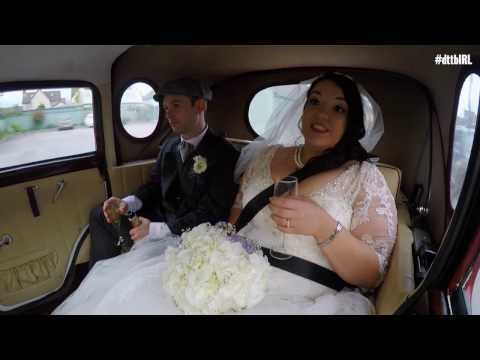 He told us that he got a round of applause when he beeped the horm as he wound his way through the entrance to the church and was a sight to behold in our Regent vintage style car. All the trouble & strife was forgotten and Nigel said that you were so nice and so grateful to him for coming to your aid. From our perspective it was worth it just to make sure that your day ended perfectly. Everybody needs a bit of TLC. My daughter came home from Australia to get married in August. I dealt with most of the bookings here on her behalf. I have to say Bernard and Caroline were fabulous to deal with from the initial booking up to the big day. I traveled in the car myself and I found the car to be both comfortable and luxurious. The driver was both friendly and professional even helping with the ribbons for the other cars. We couldn’t ask for more. I would thoroughly recommend them. It's lovely to hear from the mother of the bride here. Thanks Helen for taking the time to post this review on behalf of Julie. You were great to deal with both on the lead up to and on the big day itself. Please pass on our well wishes to Julie and Luke. Regards, Caroline & Bernard, TLC. Thank you Pete for your review. Again what shouts out at us are the words "professional", "courteous" and "reliable", three traits which are essential when running a wedding car hire company. Glad we ticked all the boxes for you. Lovely to get this review from a lady who first used our services in December 2017. We remember quite well that you said you would book your wedding cars with us and true to your word, you did just that. Our drivers said that they were so at ease in your company as you were both so nice on the day. Hope we meet lots more brides & grooms like yourselves in the future and hopefully our paths will cross again. Best wishes to you both from all at TLC. Much appreciated Claire. Couples often say to us at our showroom that they feel like a child in a sweet shop. Some like the vintage cars, some like the sleek saloons & coupés and others want the experience of our classic Bentley Arnage. With our experienced chauffeurs thrown into the mix - that's the icing on the cake. Best wishes to you and Ricky. We Booked the Limo Company for our wedding in August 2018. we were very happy with our driver Graham and we would recommend them to any future wedding couples. Thanks very much Leonie and Richard for sending on your review. You booked our Regent vintage style car in cream & black. We are always amazed at just how popular this car is. We will pass on your praise to Graham your chauffeur. Best wishes to you both. So right Dean, it was your special day, probably the most special day of your life. So glad that TLC was right there to make sure that it was just that - special! Thanks a mill for your review. The service provided by the Limo Company was excellent. We were well attended to and we were impressed with the quality of the vehicle. Thanks very much for your kind words Nigel & Brid. You were whisked to your wedding reception in our Brenchley Tourer. There are 5 Brenchleys in the whole of Ireland but this is the only Tourer which is licensed to hold up to 5 passengers. Without blowing our own trumpet we've been told by people in the trade that it's the nicest wedding car in the country. Just remember, the day is over in the blink of an eye but memories and the images taken last forever. Best wishes to you both for the future. Service was perfect. Even the driver Tom helped with the timings for the bridesmaids in the church! Thanks a million Linda for your lovely review. At TLC we don't simply supply a beautiful car - it's an overall package, including those little extras like the chauffeur helping with the timings for the bridesmaids in the church. All in a day's work for our chauffeurs. Best wishes to you both for the future. The service was great and the limo we got was at an excellent price! Couldn't recommend TLC enough! Thanks Myriam. Is it the car, is it the price or is it the service? We think that it's a combination of all three which makes TLC stand out from the crowd. Glad you were happy with all three too. Best wishes to you both for the future. Precise and to the point - thanks a million Ann Marie! TLC were excellent in the lead up to our wedding day. They were very professional and everything went smoothly on the day. The car was amazing and I would highly recommend TLC. Thank you very much Anthony and Grace for your lovely review. It's great to hear that you were happy with TLC, not only on the day of your wedding but also on the lead up to it. It's important that your wedding suppliers are on board with you from the first point of contact and we always try our best to do that. It gives peace of mind to you the couple. Best wishes to you both from all of us at TLC. We booked through Caroline in TLC and she was a pleasure to deal with. We don't drink champagne so they had our favourite drinks West Coast Cooler and Bulmers ready and waiting after our photos, it was lovely. The chauffeur was so friendly and couldn't do enough for us. I would highly recommend TLC. Ah thanks Nicola and Bernard - we try to do the best we can to facilitate our couples and are so pleased to hear that this was a nice touch for you both. It's the small things that make perfection, but perfection is no small thing. You say that the chauffeur was so friendly - hope ye didn't encourage him to partake in a drop of Bulmers as he is a pioneer for over 30 years lol! Best wishes to you both from all of us at TLC. Thanks for your review Claire. Looking back at over 50 reviews, something which jumps out at us are the lovely comments about our drivers. We suppose that the fantastic cars, fantastic drivers and fantastic attention to detail in the lead up to the wedding day is the recipe for success. Best wishes to you and to Eamonn for the future. TLC could not have been anymore helpful or better. Top job they did for us with no fuss at all whatsoever. Great craic had whilst being driven along with the roof down on the vintage car while supping the complimentary champagne!! Thanks Brian. Isn't it great to enjoy the finer things in life, even if only for one day. Sipping champagne whilst being driven in style in our Imperial vintage style car, watching the world go by. It would make you want to do it all again. If you do, you know where we are lol!! Would 100% recommend TLC, we had the white Mercedes it was stunning, the driver was really friendly and so helpful on the day . A great company to deal with. Thanks Carol for your review. Yes this car is indeed stunning, definitely one of the most photogenic cars on the road. Great to hear that your chauffeur Ger looked after you well on the day. As the L'Oreal ad says "You're Worth It". Best wishes to you and to Ken. TLC were excellent to deal with and we would highly recommend them. Prior to booking they were very responsive to enquiries and emails and in the days leading up to the wedding they were very professional and contactable. Unfortunately due to Storm Emma we had to postpone our wedding from March to June but TLC were great to deal with as they switched to the new date with no additional charge or booking issues. The driver on the day was very professional and friendly and the car was lovely. Ah yes, Storm Emma played havoc with many of the bookings we had for that first weekend in March 2018 and we had some cancellations which could not be helped in view of the atrocious driving conditions. We were delighted that we were able to facilitate you on your new date and also delighted to hear that all went well and that you got your spin in our lovely Regent in soft cream & autumn amber. Warm regards to the two of you. Thanks Anita, glad you were happy with our Regent in soft cream & autumn amber and the chauffeur on the day. We couldn't have asked for anything better than TLC. Our driver was amazing and Caroline and Bernard's attention to detail made our day even more perfect. Wow, that's put a smile on our faces! Thanks so much for your fantastic review. 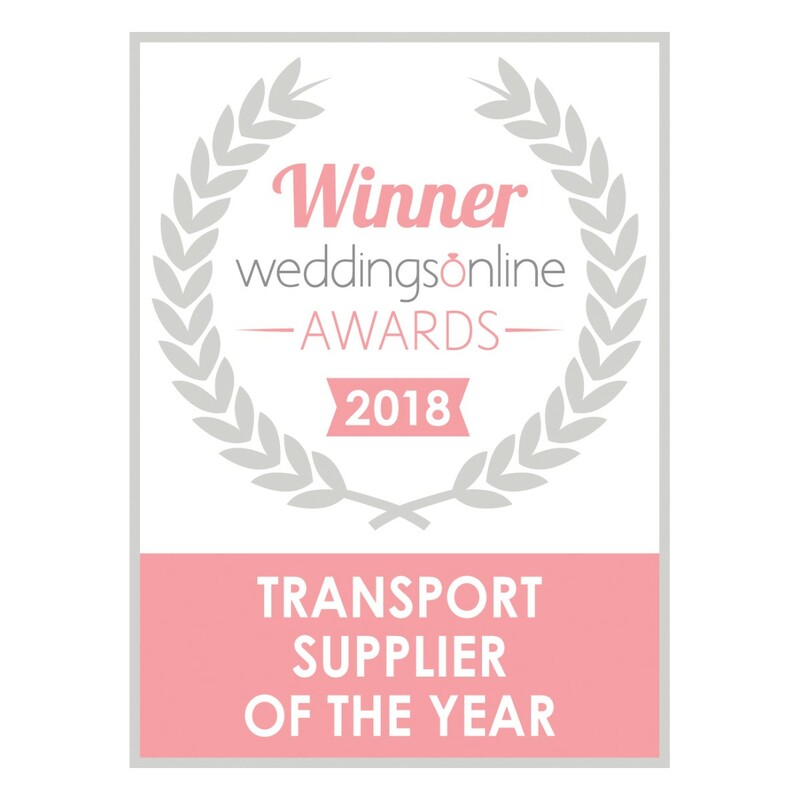 Our drivers are an integral part of the overall service we provide so we are very proud of how they conduct themselves as they are representing TLC on your big day. Best wishes to you both from all of us at TLC. Hi Laura, thank you very much for taking the time to send us on your review of our service both on the lead up to and on your wedding day. A huge effort goes on behind the scenes so that your day runs as smoothly as possible so hearing your positive remarks makes that effort all the more worthwhile. We really appreciate it! Best wishes to you and to Ollie from all of us at TLC. I always had my heart set on having a white new style car, and was delighted when my partner found TLC website. Caroline was such a pleasure to deal with and was very accommodating. We found the price one of the best around which included Richard our driver drive from Waterford to Dublin to Wexford and home to Waterford again. Richard really looked after us on the day and nothing was too much trouble including him taking photos of us witht he car and sending them onto us the next day. Oh my goodness what a fab review - we are thrilled to bits. One of the reasons why we can offer such good value is because of our location. We are sitting in the office basically looking directly at the M9 motorway, just two fields away from us here in South Kilkenny. We are 5 minutes from Waterford City, 15 minutes from New Ross in Co. Wexford, 20 minutes from Carrick-on-Suir in Co. Tipperary and 25 minutes from Kilkenny City and Dublin just an hour and a half's spin up the road. Our flagship V6 Audi A7 just eats up the miles. All in a day's work for Richard who doubles up as a photographer lol. And thank you too Debbie! Two little words sum it all up nicely. TLC could not have been more helpful on the run up to our wedding. We went to view the cars for our bridal party and had a tricky time picking one as they were immaculately kept and each car was as nice to look at as the other. Caroline was so professional on the run up to our day and went out of her way to make sure the finer details were correct. On the day, the attention to detail for our bridal party was superb. Thank you for adding to our day and giving our photos an extra special element. Hi Roisin & Richard, we are blushing here having read your review. Delighted that you were 100% happy with the service from the viewing right up to and including the car and service on your big day. Best wishes for the future to you both. Sometimes less is more and "excellent service" encapsulates it all succinctly in a nutshell. Thanks so much Aine for your 5 out of 5 rating, glad that our Audi A7 ticked all the boxes for you. Best wishes to you and to Seamus from all at TLC. Excellent Service, Car was exactly what we wanted white Audi A7. Car was spotless on the day. Driver was a gem. Smashing service overall. Emma thanks a million for taking the time to send us on this review. We scrubbed this gorgeous car to within an inch of its life before it left our premises to set off to collect you. Your chauffeur Ger gave it another rub down on arrival to have it spotless for when you were ready to leave for the church. Glad to hear you got what you wanted. Best wishes to you and to Mark from the gang at TLC. Caroline and Bernard were a pleasure to deal with from the day we met them.They were so professional and made us feel so special in choosing our car and going through the final details of our big day! We couldn’t recommend them enough they go above and beyond , we loved the car and it added to theme of our wedding, we can’t thank them enough! We highly recommend them for choosing your wedding car, the driver was also lovely and so accommodating, we wish them all the very best for making our day feel so special. Thanks very much for your honest review Imelda and Nicky. It was effortless to accommodate a couple such as yourselves as ye were so laid back and easy-going but that didn't stop us from providing a stellar service to you both. Thanks so much for booking with TLC and hope that you have a long and happy life together. We were so glad we booked The Limo Company for our wedding. The car was beautiful and the service was fantastic. From our perspective Emma you were a pleasure to deal with so that makes our job so much easier. Our drivers are our ambassadors on the day so we are very lucky to have the ones we have. Bernard and I really appreciate you taking time out to tell us what you thought of the service you got and hearing the words "top class", "couldn't be more accommodating", "super professional" and "fabulous" are like sweet music. Best wishes to yourself and Andrew from all at TLC. We could not speak more highly of TLC and would recommend them to anyone who was thinking of hiring transportation for a special event. They were extremely friendly, professional and supportive throughout our wedding day. We were unfortunately blessed with typical Irish weather, it poured down all day. TLC kept me, the wedding party (and my dress) dry & warm. I cannot thank them enough. What a review! Thanks so so much for such detailed feedback Paul and Suzannah. While you can plan everything elsefor a wedding, you cannot predict what weather conditions you will get in Ireland on your wedding day. Great to hear that you were all snug and warm (and dry) in our ibis white Audi A7 and Jaguar XF (the "black cat") and super stylish in this black & white themed convoy. Best wishes to you both from all at TLC. Our wedding day was Friday 2nd March 2018 when Storm Emma hit. We thought we wouldn't be able to have the vintage car we booked but Bernard came to our rescue in a 4 wheel drive Audi and collected myself and my best man from Rosslare harbour. TLC saved the day and myself and Olga thank Bernard and Caroline so much. Thanks Mark and Olga. We did say that morning that we would try our best to get to you and thankfully we did. That Audi is worth its weight in gold, its legendary road holding is outstanding. Definitely one for the story book. If you get a chance please send us on some photos as Bernard phone was fogged up with the cold! White car, white wedding dress, white landscape - all in all you had a white wedding!! We appreciate your positive review Barbara. You were lovely to deal with from the time you visited our showroom in September 2017 to choose your car, right up to and on your wedding day. Best wishes to yourself and Stephen. From start to finish Caroline answered all queries immediately. Whether it was late at night immediate response. We even had to change our plans and again dealt with great professionalism. Limo arrived on time with an experienced driver and we arrived at the venue on time. Would recommend this company to anyone. Just excellent. Aw thanks Mary - I'm grinning like a cheshire cat here!! Delighted to receive such a positive review. It was actually my other half, Bernard who was your chauffeur on the day so I've asked him to take a bow too! Happy new year to you and yours. Everything was perfect thank you and for your great patience with my dad breaking his hip few days before my wedding day we still managed to get him in the car step ladders and all. Was a fab experience ? Thanks Gina, all in a day's work for our drivers, always ready to step up to the plate on your big day. Hope your Dad is on the mend, the driver said he was so proud of you. Wishing you and yours a very happy Christmas; your first one as husband and wife. The company was fantastic to deal with from start to finish. They couldn't have been any more helpful. The cars were beautiful and so well kept and comfortable. The drivers were soo friendly and professional. Have been recommending them to everyone. Thanks very much Samantha for taking time out at this very busy time of year leading up to Christmas to give us your feedback on your experience of our service on one of the biggest days of your life to date. You don't get a second chance to make a first impression so we are thrilled that your first impression of TLC was so positive. You used 6 words that you felt epitomised TLC: "fantastic", "helpful", "beautiful", "comfortable", "friendly" and "professional"; all of which are music to our ears. Happy Christmas to you and Barry, your first Christmas as husband and wife. A very professional service. Driver was polite and very helpful. Would happily recommend. That's great to hear Joel. Word of mouth goes a long way so any recommendations you can send our way would be greatly appreciated. Best wishes to yourself and Lorraine from all at TLC. The Limo Company were excellent to deal with, very professional and a pleasure to have them on our wedding day. They arrived early and were making sure the car was spotless after making the journey up from Waterford. Highly recommended!!!! Thanks Derek & Maria for your top class review. Delighted to hear that you were totally satisfied with the car and the service on your wedding day. It was a pleasure dealing with you too. Best wishes from all at TLC. From our first meeting up until the day of the wedding Anne-Marie and the Team were wonderful to deal with. We had a mid-week civil ceremony and had our pictures taken on the grounds of the hotel but the Limo Company left use the cars after the ceremony for pictures. 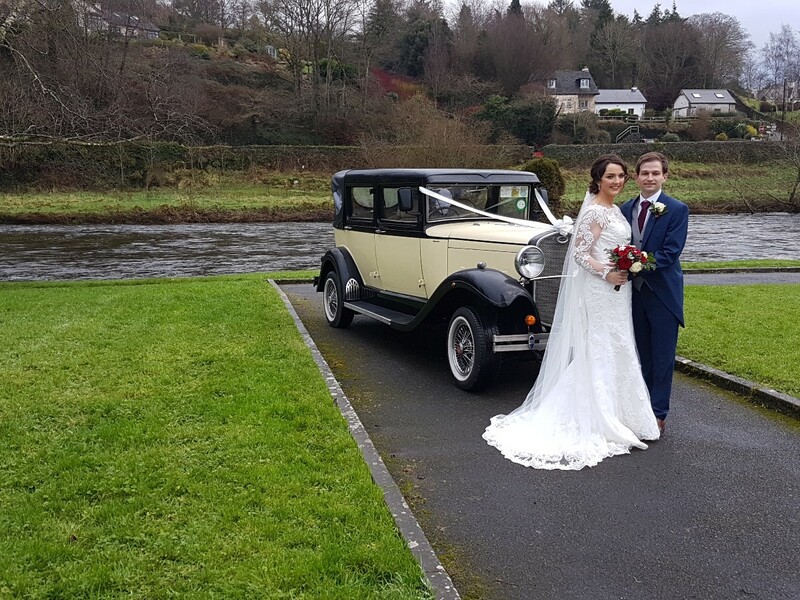 Thanks Susan - you chose Ireland's only Brenchley 5-seater Tourer and Ireland's only Imperial 6-seater vintage style cars for your recent civil ceremony. A lot of people with whom we spoke at a recent wedding fair commented on how well the two cars and your wedding party looked at the delightful Tower Hotel on the day. Thanks for keeping things local - you have exquisite taste! Best wishes to yourself & Aidan from all at TLC. On the day of the wedding the weather was 'a little damp' and windy and whilst the Regent car was excellent in every other way, the soft top is only held on with studs which allows the wind to create a draft around the head and shoulders. The stretched limmo we also had appeared to have a problem with the air conditioning unit as it only gave hot air even set at the lowest temperature. These are only minor points as the drivers were both excellent, brollies at the ready and friendly and the service provided was very good. Thanks Steve for taking the time to send us your review and honest feedback on the cars and service on your big day. Our vintage style cars are constructed in such a way as to be as authentic to the actual 1920's mode of travel as is possible - a little bit airier, noisier and bumpier than a modern car but deliver the wow factor in abundance in the wedding photographs. Good to know about the aircon as it's only from feedback such as this that we can address these things. Delighted to hear that the drivers looked after yourself & Jen well and that you were very happy with the service. With a rating of 4.8/5, this equates to 96% out of 100% - that's a Simon Cowell yes in our book. Best wishes to you both from all at TLC. From myself and Darragh we would like to say a big thank you to you for the organisation and to Nigel being a part of our special day! The car was perfect and Nigel was the perfect chauffeur!! Thanks Marie & Darragh for your great review - to see the word perfect twice in one sentence is the icing on the cake!! Best wishes to you both from all at TLC, especially Nigel!! Thanks a lot Sarah for taking the time to send us on a review. As your wedding was in Waterford city, we were happy to quote you a very competitive price with no compromise on the quality of service delivered. Best wishes to yourself & Jason from all at TLC. Thanks Ciara & Miley, we are delighted that you were happy with the cars and the service on your wedding day and would be grateful for any recommendation you can make. Best wishes to you both from all at TLC. The Limo Company were a pleasure to deal with from beginning to end. My journey from home to the church was so special and a definite highlight for me! Thanks so much again! Great review - thanks so much Siobhan. Best wishes to yourself & Paddy from all at TLC. amazing service, very flexible and wonderful staff to liase with. cars were amazing and clean and our driver was gentleman. the car looks beautiful in our wedding photos. we received a complimentary bottle of bubbles and it was a great opportunity to spend some time alone with my new husband after our ceremony. Your choice of car Amy was our Regent in soft cream & autumn amber and you booked it as a surprise for your fiancé John - what a lovely thing to do. It's great to hear that the two of you really enjoyed the car and the whole experience. Best wishes to you both! Thanks so much Danielle! You and your Mum & Dad were so lovely to deal with - it actually made our job effortless. You wanted your dream cars and we were glad we were in a position to provide them for you. In many ways a wedding day goes past in the blink of an eye but the photographs and memories live on forever. We at TLC were delighted to be a special part of it. Warmest wishes to you both and your Mum & Dad. Great value for money, Arrived on time, Cars were lovely, Just didnt get a receipt for transaction on day as paid for in cash to the driver. Hi Pam, thank you for your review which we are delighted to receive. In relation to the balance payment and as per your last email to us you indicated that your preference was to pay it in to our bank account and that it would be credited either on 31st August or 1st September. This would be the usual method used by couples. When our driver phoned us on the day of your wedding enquiring if the payment had arrived, we checked our account again but it still had not arrived. This is the only reason he had to request the balance payment from you on the day and he would not have had a receipt book with him. Had we known that you had changed your mind about the method of payment, we would have had a receipt prepared and would have given it to the driver. We can send you one now for your records, it's no bother at all. We always try to provide the best service we can and were happy to provide you with a bottle of non-alcoholic bubbly as you requested. We wish yourself & Shane best wishes for the future from all at TLC. TlC were amazing to deal with nothing was any trouble and they had the best price in Ireland..and i am not kidding cause I checked! They were so responsive and flexible to out needs and the car we chose was beautiful. I would highly recommend. We're really grateful to you Alison for your review. We try to go the extra mile (if you will pardon the pun!) for each wedding that we undertake. Best wishes to you from all at TLC. The limo company was so easy to deal with. They provide an amazingly competent service and the drivers were extremely helpful, organised and friendly. 5 star service! Thanks so much Catherine for your glowing review. We are thrilled to hear that you were 100% happy with the service on your big day. Best wishes from all at TLC. That's great to hear Rachel, thanks a million! Best wishes to you from all at TLC. Thanks a million Liam & Joan for your review. It's our pleasure to facilitate couples when we can so late viewings are no problem. Great to see your comments on all aspects of the service - quality, value & professionalism. Warm regards to you both and best wishes from all at TLC. We hired a wonderful car from the Limo Company for our wedding day. The car looked fantastic in the photographs and we were very happy with the flexibility and professionalism of the driver! He was very friendly and helpful! We would highly recommend their services! Hi Louise & Andrew, we are really grateful to you for this review. So happy that you were totally satisfied with all aspects of the service you experienced on your wedding day. Best wishes for the future to you both from all at TLC. Thanks a million Sharon & Dylan for your review and positive feedback. Bernard and I are delighted that you were both happy with the cars & service on your wedding day. Best wishes from all at TLC. Fantastic service! Prompt, good value and very friendly! Great stuff Rachel - thanks for your review. Best wishes from all at TLC. We arranged two cars with the Limo Company and both were immaculate. The drivers were very professional and helpful. And made sure we got everybody to the church on time!! Would definitely recommend. Paddy, thanks very much for your review - we are delighted that you were happy with the cars you chose and the service you got on your wedding day. Best wishes to yourself & Michelle from all at TLC. We would highly recommend The Limo Company, Caroline and her staff are just fantastic, they have a beautiful selection of cars.Their service is second to none. Thanks for your review Lisa. After nine years in business we have become one of the largest wedding car hire companies in the Republic. We do our best to make car hire fun, simple and hassle-free. You are not just hiring a quality vehicle, but an experience that we hope means you recommend family, friends and work colleagues to us. Best wishes from all at TLC. As a surprise I booked the car on behalf of my son and his wife. The car was presented in pristine condition, on time and with a most engaging driver. He clearly understood how to manage the occasion both before and after the church. The champagne was a lovely touch. Very good value and much appreciated by the bride & groom. Thanks so much Eamon for your glowing review. It's easy to provide a good service when you deal with such appreciative & genuine customers. We always ask our drivers for feedback regarding how the wedding went when they return back to base with the cars and on this occasion, Graham said that you were all lovely people. It's really nice to know that our efforts didn't go unnoticed. Thanks again and may we take this opportunity to wish you and your family a very happy Christmas! Warm regards, Caroline & Bernard. Caroline & Bernard were great to deal with in the run up to our wedding and Michael our driver looked after us really well on the day, would definitely recommend booking them. Brid & Michael - thanks very much for sending us on your feedback - really appreciated. Thrilled that you have given TLC the thumbs up! Best wishes to you both! Thanks Martina - that's our Richard alright - always at the bride and groom's beck and call. It's not just about the cars and the driving, it's an overall package that we strive to provide. It's going just that little bit further that makes all the difference. We are delighted that you were happy with everything on your big day. Best wishes to you and to Darren from all at TLC. Exceptional service! So professional from making the booking to.our wedding day. Would highly recommend! It's important that you get the service you expect right from the first point of contact right through to your experience of the car on your wedding day. We are delighted to hear that you got this from TLC. Best wishes to you & Martin from each and everyone at TLC. Thanks so much Claire for your review and thanks also for recommending TLC to Patrick's brother and his fiancée who have booked their wedding transport with us for their wedding in March 2018. We are thrilled that you were both very happy with the car and the service from TLC. We wish you every happiness for the future! Caroline & Bernard. Wow we are bowled over by your comments Nigel & Jenni; thrilled that you were both totally happy with what TLC had to offer. You were a pleasure to deal with! Best wishes to you both from Caroline, Bernard, Graham and all at TLC. Great service, easy to deal with and very polite drivers. Thanks so much Carmel for your feedback. We are delighted that you were happy with the service from TLC. Couldn't fault this service in any way....I needed two cars and one was not available and the limo company referred me on to somebody else to get the second car that I needed.....the driver on the day was also so nice and just made sure that everything was as we needed it ....would definitely recommend the limo company to anybody for their big day. Ah that's great to hear Sharon, we are thrilled that you were happy with the car and the service you received from us. We were also happy to recommend the other supplier as we often use his services which complement ours superbly. Best wishes to you and to Ian from all at TLC. Thanks so much to Caroline & Bernard for the excellent service they provided to us on our wedding day. From viewing the cars to the booking process to the wedding day itself we could not fault The Limo Company. The cars were beautiful and the drivers couldn't have been nicer. We wouldn't hesitate to recommend The Limo Company to anyone looking for fantastic service on their special day. Thank you Sarah Jane for taking the time to give us your feedback on your experience with TLC. Bernard and I are delighted to hear that you were 100% happy with the cars and the service you received on the day. We would be grateful for any recommendation or referral you can give. Best wishes to you both from all at TLC - The Limo Company! The Limo Company have a huge variety of cars to choose from, but as soon as I saw the beautiful Bentley I fell in love. We also chose the Audi to bring the bridesmaids and flowergirls, the Groom and groomsmen to the wedding venue. The cars turned up exactly at the agreed time ( which meant that I was going to be early! ) I was most impressed by the sheepskin rugs in the floorwell of the Bentley, my gorgeous shoes were never going to come to any harm. My driver was excellent. As we were a little early, we took a short spin around town to pass the time. I felt like royalty. Overall, a totally professional service with a totally genuine, friendly attitude. Thank you! Barbara, thanks a million for your gorgeous review! You looked like royalty in the Bentley and the two cars looked fab outside Waterford Castle on the day. Wishing yourself & Nicky many, many happy years of wedded bliss, Caroline & Bernard. Hi Carmel, thanks very much for your review. Delighted to hear that you were totally happy with the car and service from TLC. Best wishes! I cannot recommend The Limo Company enough. The booking was so easy and they were very responsive. No stress what so ever. Our driver Graham was so so nice. Couldn't have asked for a better chauffeur on our wedding day. We are very grateful to you for your glowing review - delighted to hear that you were very happy with the service from booking to wedding day. We will pass on your kind words to Graham. Best wishes to you both from all at TLC. Thanks for that great review Mags. As each wedding is unique we try our best to facilitate the various requests that we receive and quote as competitively as we can. You chose our Jaguar S Type (aka The Black Cat) and as it is a super, fuel efficient car, we were able to offer it to you at the best price around. We are so pleased that you were happy with the car and the service. To keep up with people ever-changing tastes we are now in the process of upgrading this Jaguar to the class-leading XF model which we hope to have on the road in early 2018. Best wishes to yourself and Paddy! Caroline and Bernard were lovely to deal with from initial enquiry right up to the day itself. Fantastic selection of beautiful cars. Would not hesitate to recommend. Thanks so much Marian for your lovely review. It means so much to myself and Bernard to know that we provided a car and a service that you were totally happy with on your special day. Warmest regards, Caroline & Bernard, TLC. We were very pleased with the service provided by The Limo Company. Caroline was very responsive and easy to deal with when making the booking and confirming the details before the wedding. We didn't have an opportunity to view the car beforehand but it looked exactly the same as the photos we had seen on their website. The car was great and such a fun way to travel to and from the church. The driver was friendly and we were happy we chose to book with them. Hi Claire, Bernard and I are thrilled that you were happy with the car you chose and the service you received from TLC, both prior to and most importantly, on the day of your wedding. We are grateful for your review and for any recommendation you can give to family/friends who might be planning their wedding in the future. Best wishes to you and to Michael from all at TLC! From start to finish tlc limos was amazing to deal with. I would highly recommend them to anyone getting married. Hi Alice, thanks so much for your review. From the day we started this company we decided not to follow standards but to set them. Also our rule of thumb is to treat people the way we would like to be treated ourselves. The drivers are our eyes and ears on the day and are ambassadors for the company. We always remind them of this and it has paid off. Best wishes to you both from all at TLC and happy first Christmas as husband & wife! We used The Limo Company to supply our Wedding car in August and I cannot recommend them highly enough. From the moment we first enquired about their services they were an absolute pleasure to deal with. We were welcomed to their showroom to personally view all the cars which I really loved. On the day itself our driver was friendly, courteous and arrived in plenty of time. I would have no hesitation in recommending The Limo Company to any future couples. Thanks so much Sharon & Jason for all your feedback since your wedding day - firstly you sent us an email, then you posted on our Facebook timeline and now this glowing review. We're bowled over! We are constantly endeavouring to up our game and always treat people as though we are getting married ourselves. Best wishes to you both from all at TLC! We have reviewed the information we held in connection with this booking and we are satisfied that we were not informed that our silver Chrysler 300C stretch limousine was required to transport the bridal party for this wedding. This is why there were only two glasses with the bottle of bubbly in the car, one each for the bride & groom. Also we are meticulous in how we prepare our cars before they leave our showroom. We supply a chamois and a spray polish in all our cars and the drivers always give the cars a good clean just before they arrive at the collection address so that they are in tip top condition upon arrival. This car was valeted before it left our premises as all our cars are, we would never leave one out which was anything less than spotless. We acknowledge that you say that the outside of the car was fine and considering that Kinnity Castle is 130 km from where we are situated, on a winter's day, this is testimony to our presentation procedures. It's the small things which make perfection but perfection is no small thing. Lastly in relation to the chauffeur's attire - as a rule of thumb, it's suits for modern cars and uniforms for vintage cars. We appreciate you taking the time to send us your feedback and wish you both well for the future.